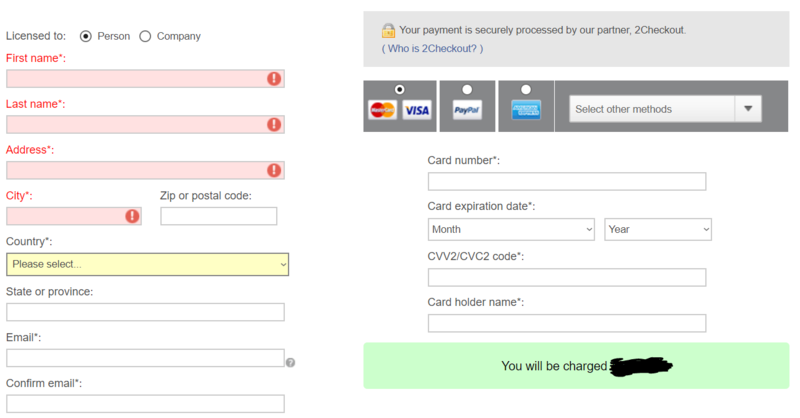 When ordering online websites often redirect to a payment service like 2Checkout (see image below). On their page I must specify my personal information (like name, address, city, sometimes birth date), as well as my banking card information (like card number, CCV, expiration, owner name). What do they do with my personal information which are not my banking card information? Is it their own policy or an international banking policy? What happens if I just put James Bond born in 1980 living in 9000 South Pole Street, South Pole instead of my personal information (as long as my banking card information is correct)? Verified by Visa helps prevent people using your details without your permission. And it’s good for retailers who want to make sure their customers are protected. As I understand the legacy payment system using CVV, exclusive, only requires three things: Card Number, Expiry Date and CVV. Anything else should not matter. However, this is why Verified by MasterCard and Verified by Visa came about, to mitigate this attack vector. This can relate to the individual countries money laundering laws. Equally, this could be for their records, to detour fraudsters from committing fraud. As I understand, credit card (MagStripe and CVV) is not particularly difficult. Although, this is not a huge issue for the customers as authorisation hold is performed. Could the legacy system have been better, yes! If a legacy payment system is used, then this should work. This is difficult to make a statement about because individual companies do not publish the source code for their antifraud systems. Hence, some conjecture with reverse engineering needs to be done here. But, this is why VBV and VBMC exist. To make this type of fraud more difficult. Does our personal information match the card details? Should additional verification be performed? Is the email address domain from a 'blacklisted' domain? In England, Anti Money Laundering Acts, require companies to validate each user with: government issue ID, utility bill, and sometimes a webcam chat. Before their account is marked as 'verified'. This is behaviour is seen with exchanges, LocalBitcoins encourages this model. The minimum payment information needed to process a payment transaction is usually card number, expiration, and CVV code, and in some systems cardholder name. The rest of the information are essentially to feed into a fraud detection system (e.g. AVS or more sophisticated machine learning-based fraud detection systems) and/or to process refund or invoice, but often they are just collected by the merchant because the software they used asked for them as the software may have been designed for a different market where legislations may require merchants to collect such information from customers. Not the answer you're looking for? Browse other questions tagged credit-card url-redirection payment-gateway or ask your own question. When paying for something on line, is paying with a checking account less risky than paying with a credit card? What are the consecuences of using a false name when using a valid credit card on the internet?